This movie is bad. And by bad, I mean terrible. And by terrible, I mean atrocious. I understand all those words basically mean the same thing, but I'm searching for the exact right word to describe just how stupid this movie is. I'll start with Rebel Wilson. Rebel Wilson is the Napoleon Dynamite of actors: some people think she's hilarious, while the rest of us hate everyone who thinks she's hilarious because it means she keeps getting cast in movies. So...she's in the movie. Does she single-handedly ruin it? No, because that would mean there was a meaningful plot to destroy. Instead, it's a Coke Zero version of He's Just Not That Into You with less famous, less attractive people. No offense to Alison Brie, whom I recently praised in the very watchable Sleeping With Other People, but she's just no Gennifer Goodwin. 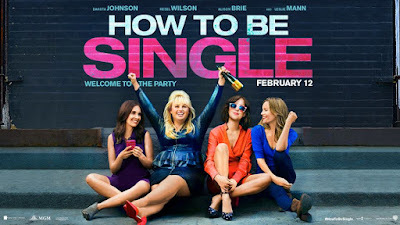 Nor is Fifty Shades actress Dakota Johnson, though this movie at least convinced me she does actually know how to act. The best thing I can say about it is that I don't hate myself for watching it. Final word: See the bolded statement above.